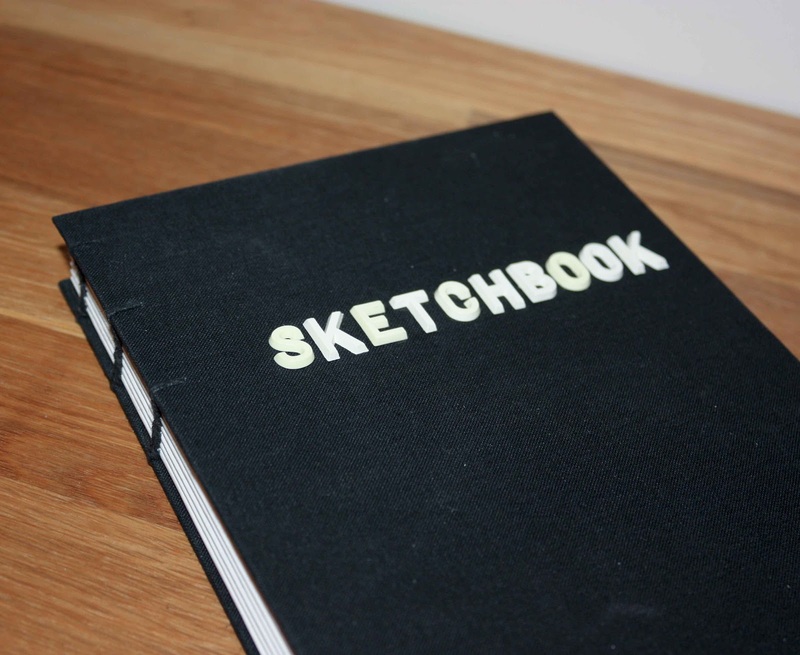 I like the old plastic note board letters on the red sketchbook - so I made a black too. 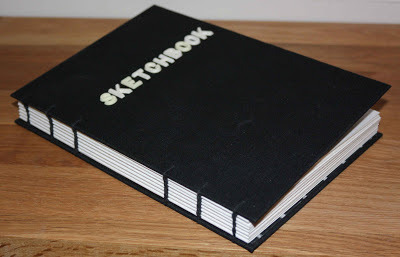 Blank pages, black cloth, coptic binding, vintage note board's letters. 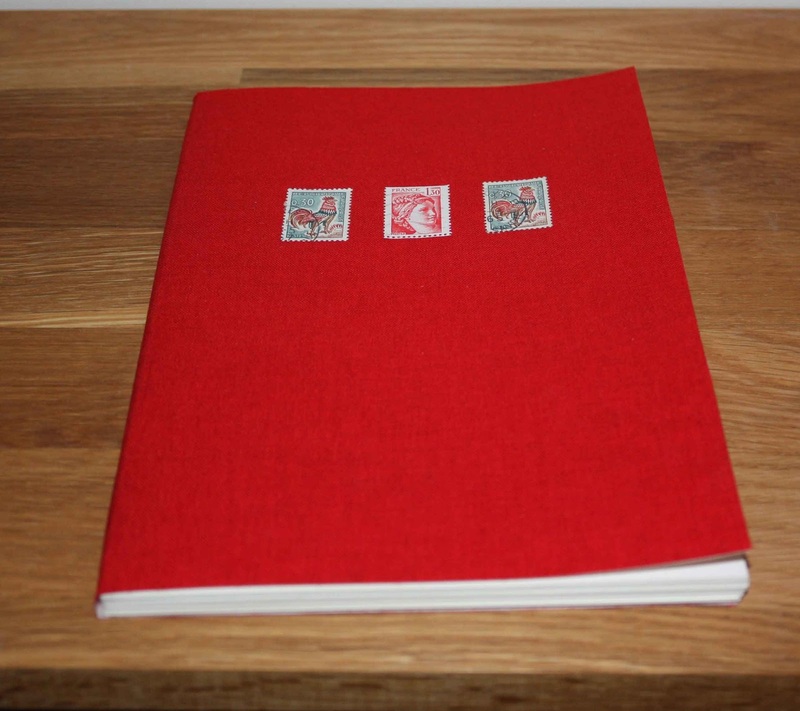 I also made a sketchbook with soft cover; blank pages, red cloth and old stamps.